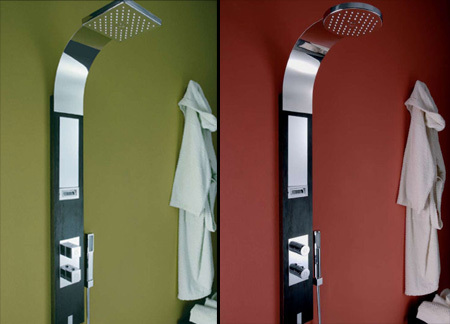 If you want to enhance the beauty and functionality of your bathroom then it is good idea to install a modern shower. 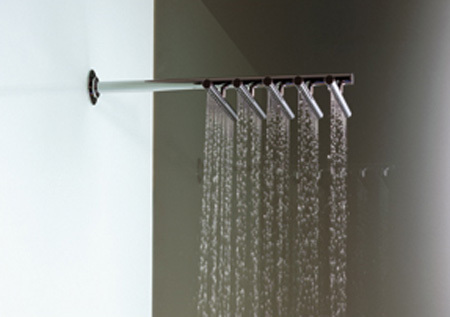 Modern bathroom showers are available in various sizes, shapes and styles. A shower should be selected according to the needs of a family. 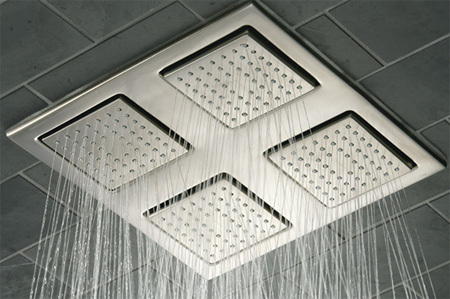 Most common showers which are being used are walk in shower and a combination of a shower and bath tub. A bath tub and shower combination is used in small bathrooms. 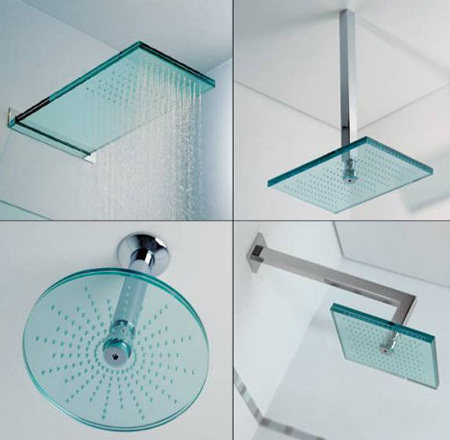 Modern showers and creative shower head designs from all over the world. This tiny gizmo unfolds to reveal a high performance waterproof reservoir that holds a mighty ten litres of water. The black fabric will (given a sunny day) warm the water up in no time. Modern European luxury shower panels from Tosca line by Visentin. 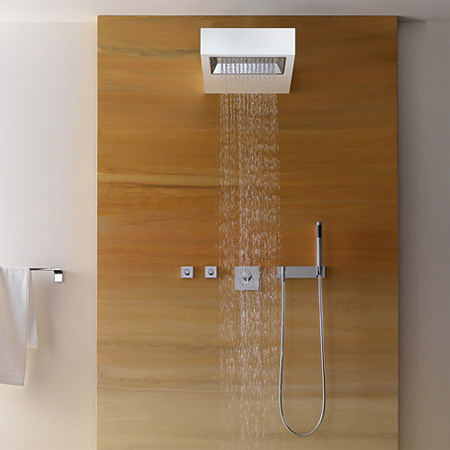 Besides looking good on the wall, Ishi shower features a slider that allows you to control the flow of water. Convenient pause button allows you to pause the flow mid-way so that you can lather-up the soap and then resume for the rinse. 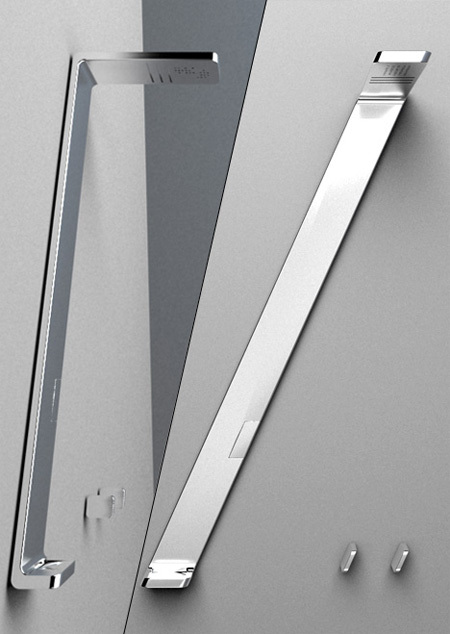 To further heighten your custom showering experience, WaterTile Rain shower panel provides targeted water delivery where you need it most with four 54-nozzle fully adjustable spray-heads. 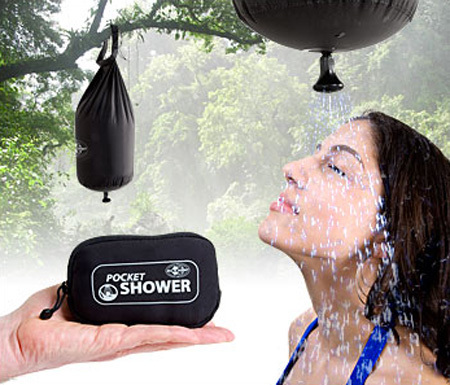 Creative waterfall shower becomes rain shower in one flip. Rainmaker shower system enriches the water with drawn-in AIR to create voluminous raindrops from a conventional shower spray. 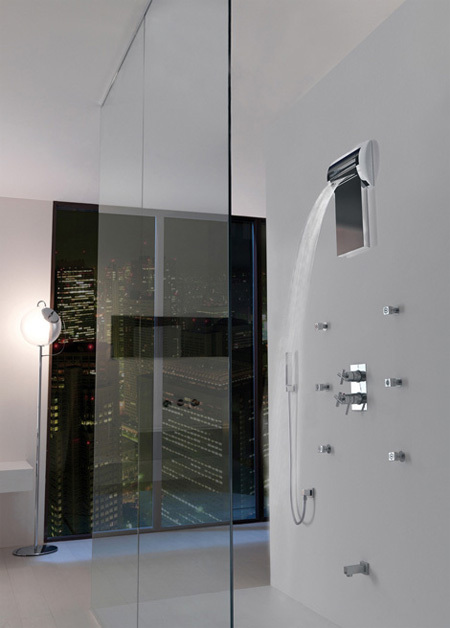 Unlike with a conventional continuous “spaghetti” shower spray, the subjective perception of the water coming into contact with the skin is more gentle. Part plumbing fixture, part architecture, the SATI and SANGHA shower heads are part of the new Elemental Spa collection by Dornbracht. 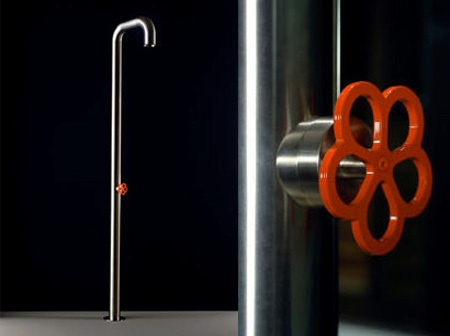 Floor mounted industrial style shower design from Boffi. Designed by Teit Weylandt, Vola 50 shower head features 5 parallel bars arranged horizontally, each comprising of 15 nozzles. 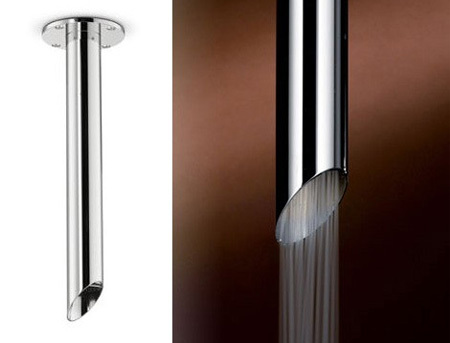 Modern glass shower heads designed by Ritmonio. 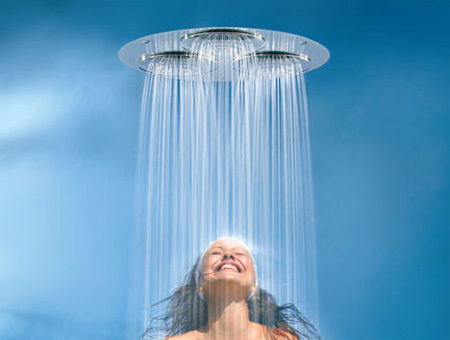 After showering for a long time, the concentric circles will rise to force you to stop showering and save water. 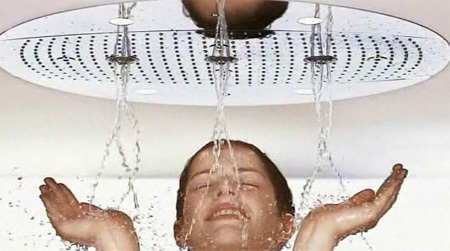 This shower head uses three shallow domes to form one giant shower head. 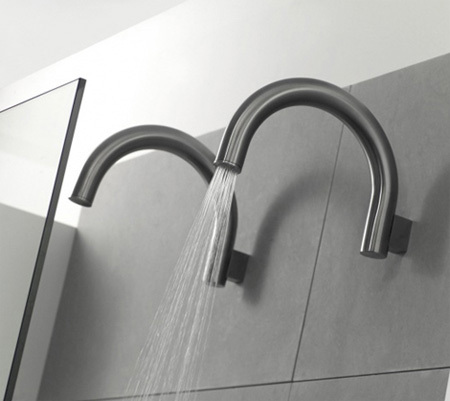 Each head features three rings of anti-scale transparent silicon nozzles that rain sensuous streams of water. Combined, the three heads are then set into a larger circular body. Imagine standing under a beam of light that highlights each shimmering droplet of water as a shower of refreshing water cascades down upon you. Sound nice? 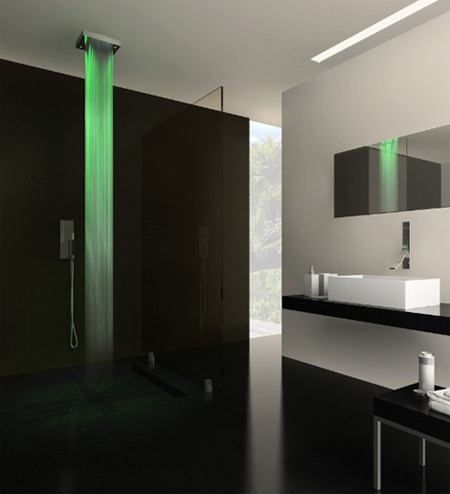 Then the illuminating showering experience of the Drops Lighted Shower from Cisal is definitely for you. 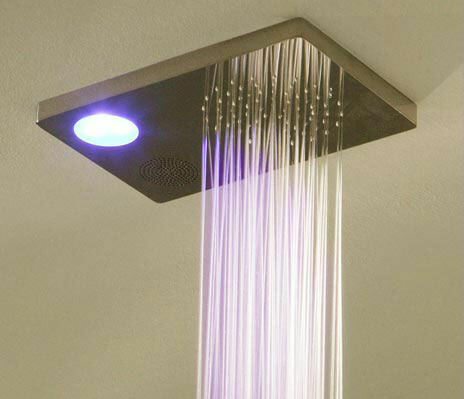 The X-Touch head is a jet shower head from Newform that juts down from the ceiling like a shiny pipe. 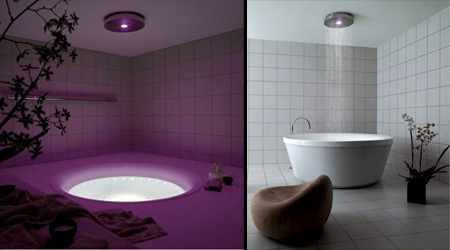 Modern tub by Kos of Italy combines a whirlpool option with a cascading ceiling mounted shower head that doubles as a soothing mood light. Totally stripped-down forms of pure steel, the DF50 shower designs are striking industrial style shower heads from Balance. 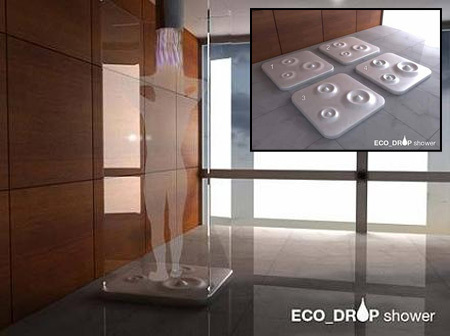 Designed by Danny Venlet, the shower sits on the ground and shoots water up 4 meters in the air. It’s like a super-bidet! 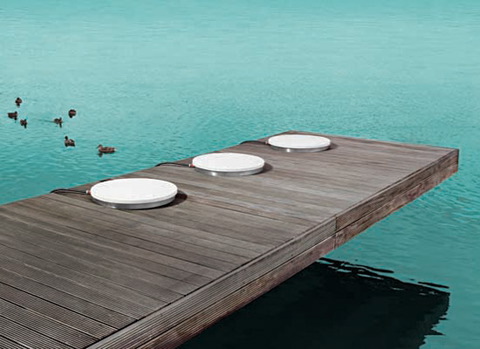 You activate the water stream by stepping on a little button in the middle of the unit.